Put it on your calendar: It might seem silly, but putting a ride on your schedule will make you more likely to get out and do it. You won’t have to try to squeeze it in when you’ve already blocked out the time. Keep it simple: You don’t have to plan major mileage or try a new route every ride. Sometimes just getting out for a 30-minute cruise around the neighborhood is all you need. You still get the benefits of unplugging from your day and getting some fresh air. 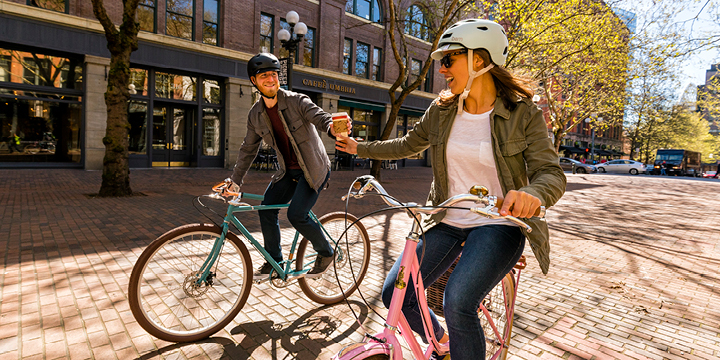 Make it social: Ask a friend to meet you or plan a ride as a family activity. You’ll be more likely to ride when you’ve made a commitment to others. Bonus: there’s something about being on a bike that can get a conversation flowing. 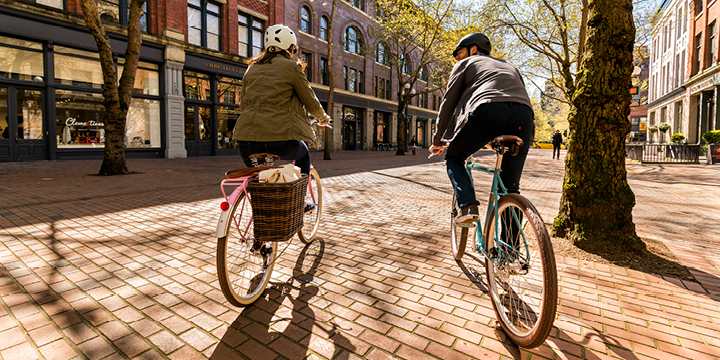 Run an errand or two: Make errands something to look forward to when you do them by bike. Remember to bring a lock and something to put purchases in, such as a backpack, basket, or pannier. Do it early in the day: Traffic is usually lighter on weekend mornings, making for a more relaxed ride. Plus, you’ll feel energized for the rest of the day if you’ve gotten your ride in early.